Posted January 3, 2013 by Jason Marshall & filed under City Hub. A combination of cheap technology and available scientific knowledge has given birth to a movement of citizen scientists and hobbyists who manipulate DNA in their spare time. When the Global Financial Crisis hit, many biotech companies crashed and their equipment became cheaply available. This enabled a few groups around the world to undertake research level science in their garages. Inspired by the American group Biocurious and the Irish researcher Cathal Garvey, Pyrmont resident Meow Ludo founded Sydney’s first biohacking group late last year. “Through Facebook and friends of friends we got together and had meetings, and now we’ve got a core group of about 15 people,” Mr Ludo said. The group takes an impressive interdisciplinary approach with people from biology, medicine, nanotechnology and engineering, but also artists, people in administration and philosophers. “If we just had biologists, we’d face the same situation as we would if we were in a university,” Mr Ludo said. The group is primarily working on two projects. Mr Ludo’s project is an attempt to make florescent yoghurt by genetically engineering the bacteria that makes yoghurt, producing a protein that glows under a black light. “I’ve bought yoghurt cultures online; I’m going to stick a piece of DNA I bought from a company from Bio-Rad called a plasmid inside them. It’s like an add-on,” Mr Ludo said. The group isn’t just focused on biotech processes. Yianni Mack is using this alternate approach to develop a screening test for atherosclerosis, the depositation of fat and white blood cells on arteries that make them rigid and closes them off, often resulting in a stroke or heart attack. Mr Ludo sad it is an example of how citizen science can be important. 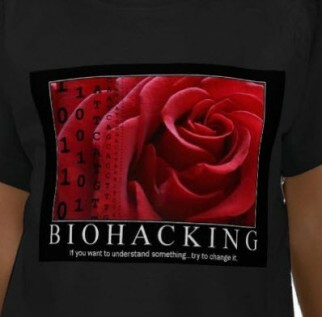 Biohacking Sydney is open to anyone interested and group members keep the concepts accessible to everyone in the group. “We try to stay away from any high level biology conversation unless it’s one-on-one with someone,” he said. The meet regularly at pubs in the city, and you can find them on Facebook and Google groups.